Do you have a stain or scaling issue in your swimming pool or spa? 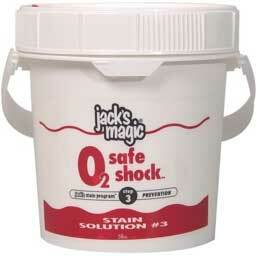 The Jack’s Magic Three Step Program is a program we have developed as a quick, easy, and effective way to remove stains & scaling and prevent any issues from returning to your pool. Follow the steps below to save time & money and to keep your swimming pool or spa sparkling clean. If you have any questions about how to proceed, or if you have a question at any step, please call (800) 348-1656 to speak to a technician. 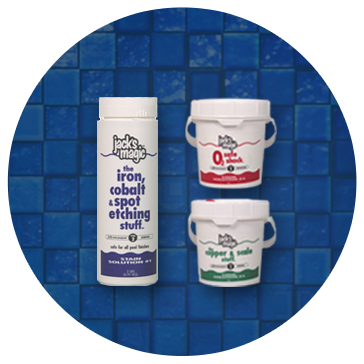 Step 1 will help you identify which of our products is best used in your pool. It is very important that your water chemistry is within the listed parameters while you use the Stain ID Kit. 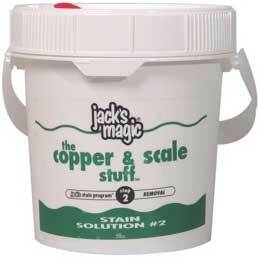 Step 2 will help you remove the stain or scale from your swimming pool or spa. 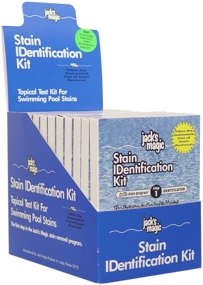 Your results from the Stain Identification Kit will determine which of the following treatments you should follow for the best results in your swimming pool. 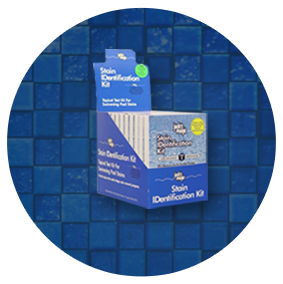 Do not perform a stain or scale treatment before you have used a Stain ID Kit. Follow the chart below to determine which sequestrant is right for you. 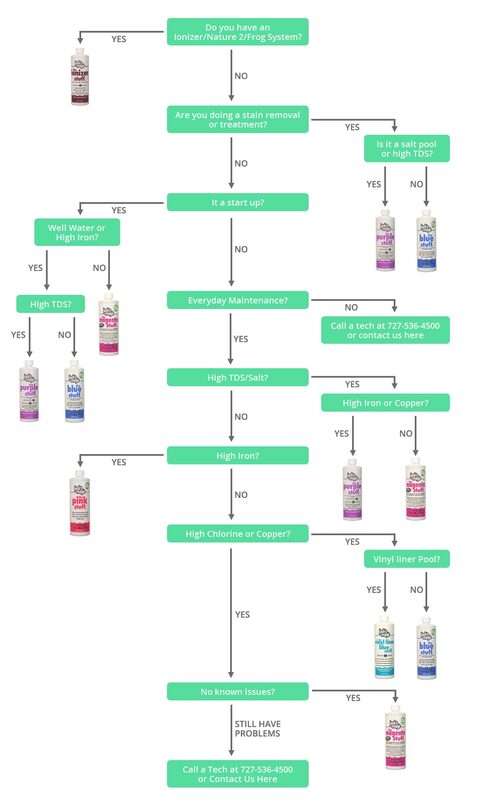 Based on your unique pool specifications, the chart below will help you determine if you should use the Blue Stuff, Pink Stuff, Purple Stuff, Magenta Stuff or the Ionizer Stuff. If you’re still not sure, give us a call at 727-536-4500 or contact us here and we will be happy to help. Please Note: There is no wrong choice of sequestering agent. This flow chart is simply designed to help you quickly determine the most cost effective & efficient option for your specific situation. Is It a start up? 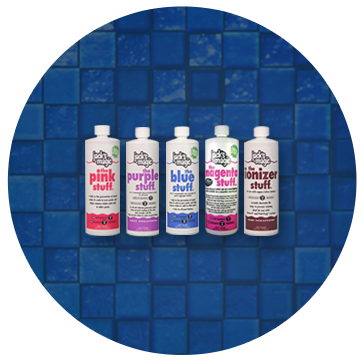 If the Pink Stuff or Vinyl Liner Blue Stuff is not available, the Blue Stuff can be substituted.